It has been an exciting year at this Catholic women’s college as Alverno completed the first phase of a $30 million capital campaign, its largest construction project since the current campus was built in the 1950s. 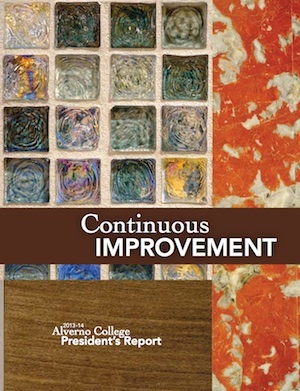 To capture that spirit of excitement and growth, this year’s annual report focused on the theme of continuous improvement. I wrote the bulk of the copy, from pages 6-36, and told the story of Alverno’s past year through student profiles, descriptions of the newly renovated spaces and other highlights from the past year. See the PDF.